“Pura Vida:” it translates to “pure life,” but its meaning implies so much more. It’s a reminder to take advantage of Costa Rica’s natural playground: cycle on rainforest trails, raft the Sarapiqui River, or surf Tamarindo Bay. It’s a phrase that encourages stopping to appreciate the beauty of the beaches and staggering biodiversity. 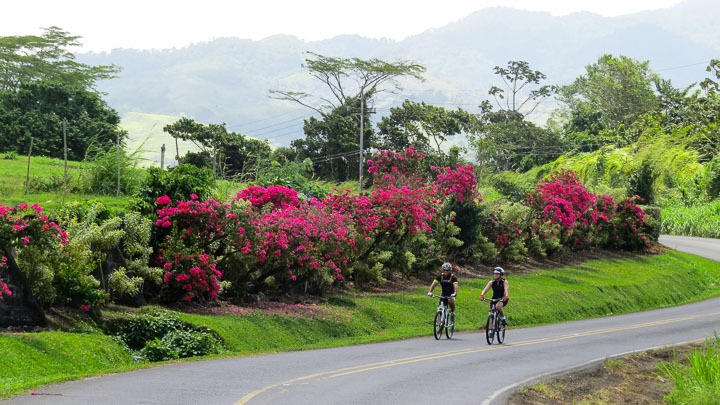 What better place than Costa Rica to celebrate the simple joy of life, and what better way to discover the little pleasures than by bike? On two wheels, you’re closer to the coffee plantations, Caribbean Sea, cloud forests, and volcanoes—let yourself see, smell, hear, and taste it all. This tour is for private groups only. There are no scheduled dates.